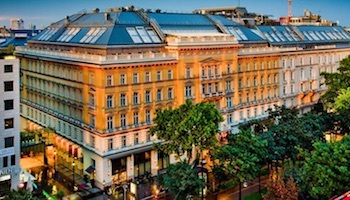 Austria is known for its soaring mountains and beautiful big cities, such as Salzburg and Vienna. 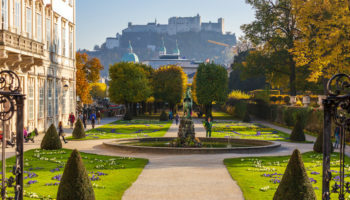 And while most people tend to concentrate their visits on these big cities with their world-class museums, opera houses and historic attractions, it is also important to set aside time to check out the small towns in Austria. Because it is there you will find the true heart and soul of Austria. Kufstein is a pretty little medieval town located in the Tyrolian Alps on the Inn River. 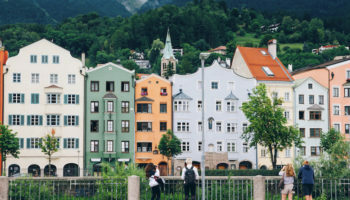 It is the second largest town in Tyrol — only the capital Innsbruck is bigger. 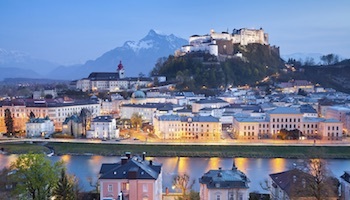 One of the town’s best-known attractions is the imposing Kufstein Fortress, which dates back to the 13th century and sits high above the city. The fortress is also home to the Heldenorgel organ, which is the world’s largest outdoor organ. While in this town, make sure to stroll down the Romerhofgasse, an enchanting lane in central Kufstein that might make you feel as if you’ve entered the setting for a fairy tale. Bad means spa, and Bad Gastein is a spa town known for its “healing” thermal spring waters. These waters were even studied by Marie Curie, as well as others, who discovered that they contained radon. Some believed that inhaling radon could help improve the symptoms of a variety of ailments, including arthritis. Bad Gastein, which is built in a valley that is actually more like a gorge, is also a ski resort known for its beautiful Belle Epoque architecture and a waterfall that is located in the center of this town. But it’s not just a winter destination. Bad Gastein also makes an excellent base for summer sports, including hiking and biking. Heiligenblut translates to Holy Blood, and it is said that the chapel in this small town contains an actual vial of Jesus Christ’s blood. The church, which was built in 1271, has long drawn Christians who wanted to see this relic of Jesus. Heiligenblut is also the start of (or end of, depending on your point of view) of the scenic Grossglockner High Alpine Road, which is the highest surfaced road in Austria and one of the country’s top attractions. This road is famous for its amazing and gorgeous views. Heiligenblut, which is also a ski resort, is located at the foot of the Grossglockner, Austria’s highest mountain. St. Gilgen is located less than 30 km (20 miles) from Salzburg and is a popular day trip from this city. Situated on the shores of Lake Wolfgang, this scenic little town was used as the backdrop for a number of the outdoor scenes in the famous movie, “The Sound of Music.” St. Gilgen is also sometimes referred to as Mozart village because the composer’s mother was born in this little town. In addition, Mozart’s sister lived here and his grandfather also worked in St. Gilgen. Popular attractions in this town include a cable car that will take you up to the Zwolferhorn. And if you are lucky enough to be in the area during the winter holiday season, make sure to check out the town’s beautiful and traditional Christmas market. Also known as the Pearl of the Dolomites, Lienz is located in the Tyrol province, close to the border of Italy. Because of its location so far south, this charming city is known for being one of the sunniest in Austria, enjoying an average of 2000 hours of sunshine per year. Lienz is also located close to the Hohe Tauern National Park, one of the largest nature reserves in Europe. Attractions in Lienz include a charming medieval town center and a roller coaster that will speed you down the side of a mountain, the Osttirodler Alpine Coaster. If you love art, make sure to check out Bruck Castle, which is now a museum of art and contains the largest collection of works by East Tyrolean painter Albin Egger-Lienz. This lovely village is located on the northern shore of the Millstatter See, the second largest lake in the Austrian state of Carinthia. The weather and the waters of this lake are both warm during the summer, so popular activities in this town include boating and swimming. Also during the summer months, the town plays host to the annual Millstatt Music Weeks, where visitors can enjoy choral, orchestral performances and chamber music by international musicians. Millstatt is also known for its Benedictine Millstatt Abbey, which was built in 1070 and is considered one of the most important Romanesque building in Carinthia. Maria Alm, which is located in the Hochkonig region of Austria, is a ski resort that has been a popular getaway for the rich and famous, including Formula-1 driver Keke Rosberg and a former German president, Walter Scheel. But don’t write off Maria Alm if you’ll be in the area in the summer. During the warmer months, Maria Alm attracts cyclists, hikers and climbers. Maria Alm is also home to a church that is the starting point for the Almer Wallfahrt pilgrimage, which crosses the Berchtesgaden Alps and ends in St. Bartholomew’s Church on the western shore of Lake Konig. 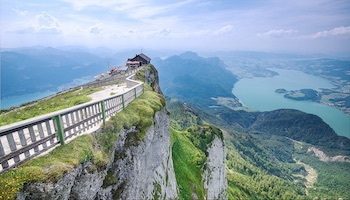 Located at the foot of Schafberg Mountain and on the banks of Lake Wolfgang, St. Wolfgang is a very picturesque town that boasts a famous 14th century church. The site of this church was said to have been picked by St. Wolfgang, the Bishop of Regensburg. The church is the ending point of a popular pilgrimage that takes devoted followers from the grave of St. Wolfgang in Regensburg to the village of St. Wolfgang. The church contains an elaborate altar — the Michael Pacher Altar — that some believe to be the most significant work of Gothic art in Austria. This town’s location makes it a great base from which to go skiing, hiking and biking. If you are an outdoors enthusiast, you’ll fall in love with Seefeld in Tirol. Located on a high plateau in Tirol, this village is considered to be one of the best cross-country skiing centers in Austria. The town has, in fact, hosted sports in both the 1964 and 1976 Winter Olympics. Seefeld in Tirol is also — arguably — the hiking capital of Austria. 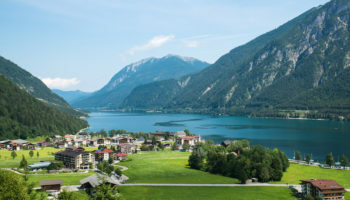 Other popular activities offered in Seefeld include golfing and mountain biking. 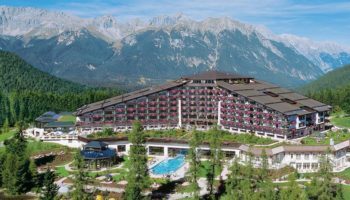 And because it is located just 18 km (11 miles) northwest of Innsbruck, Seefeld in Tirol makes for an easy day trip from that city. Gmunden, which is situated on scenic Lake Traun and in the midst of beautiful mountains, has long been a popular weekend or day trip for those living or visiting in Salzburg. The town boasts 19th century villas and castles, including Schloss Ort, which is located on an island in the middle of Lake Traun. Gmunden is also popular with hikers, who love to challenge Grunberg Mountain. 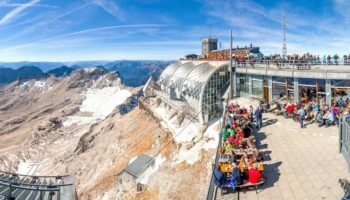 But if you’re not in the mood or shape to hike up this mountain, the Grunberg Mountain cable car, which opened in 2014, can now zip you up to the top. This town is also famous for its ceramics, so make sure to look for pieces as souvenirs. This picturesque town is situated on Lake Zell in the heart of the Austrian Alps. It is a popular ski resort in the winter, and a great base for exploring the surrounding area by bike or on foot during the summer months. And for climbers, there is a new attraction in the area that was added in June 2017 — a via ferrata or climbing route. Called the MOBO 107, this route allows you to climb the soaring Mooserboden Dam Wall. If you prefer water sports, you can also go for a swim or try your hand at stand-up paddling on the lake. Located just northwest of Vienna on the Danube River, the small walled town of Durnstein will enchant you with its many significant historical sites, including the ruins of a medieval castle that dates back to the 10th century, and the Durnstein Abbey, which features a blue tower that is now a landmark in the Wachau Valley. The town of Durnstein is situated in the middle of a wine growing region, so you should also make sure to sample some of the local varieties. Alpbach is a small but beautiful ski resort town in the state of Tyrol that also has another interesting claim to fame. Every year, it plays host to the Alpbach European Forum, a two-week conference that brings together leaders in the worlds of politics, business, science and culture. In addition, Alpbach was once voted the most beautiful town in Austria thanks to its typical timber houses and and lovely floral decorations. So to preserve its looks, starting in the 1970s, the town required that all new buildings had to be constructed in the traditional stone and wood style. Hallstatt’s setting is absolutely stunning. This picturesque village is located in the gorgeous Salzkammergut Mountains and on the shores of the Hallstatter See. Because more than 2,000 prehistoric graves have been discovered in the area, Hallstatt is considered the cradle of Austrian civilization. 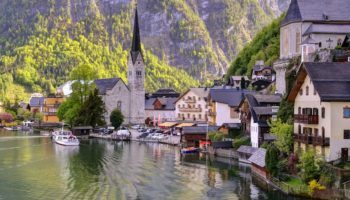 For a small town, Hallstatt has a lot of interesting attractions, including a lovely market square which boasts numerous 16th-century buildings and the Hallstatt Skywalk, where you can enjoy panoramic views of the surrounding area. It also boasts a charnel house, which is located in St. Michael’s Chapel, that contains more than 600 painted skulls. That being said, are there no charming towns in the eastern half of Austria?